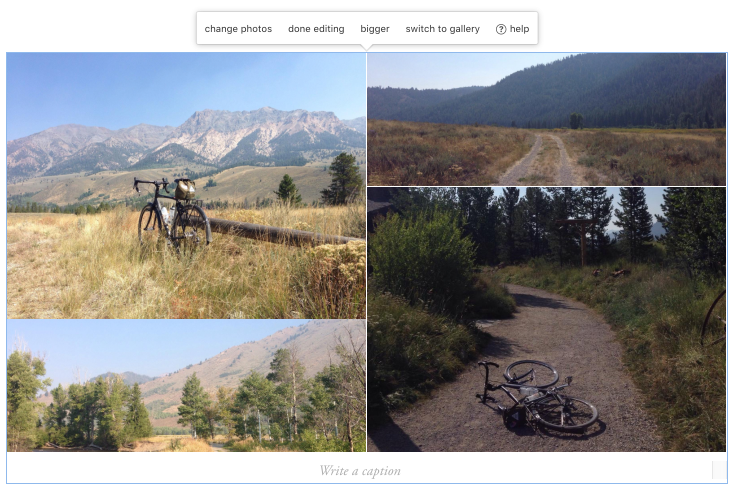 Ride Reports make it easy to create and share beautiful, captivating stories of your two-wheeled adventures. Think of it as an easy-to-use blogging platform for your rides, complete with interactive maps, photo collages, and other storytelling tools to help you share your experiences in a fun and engaging way. 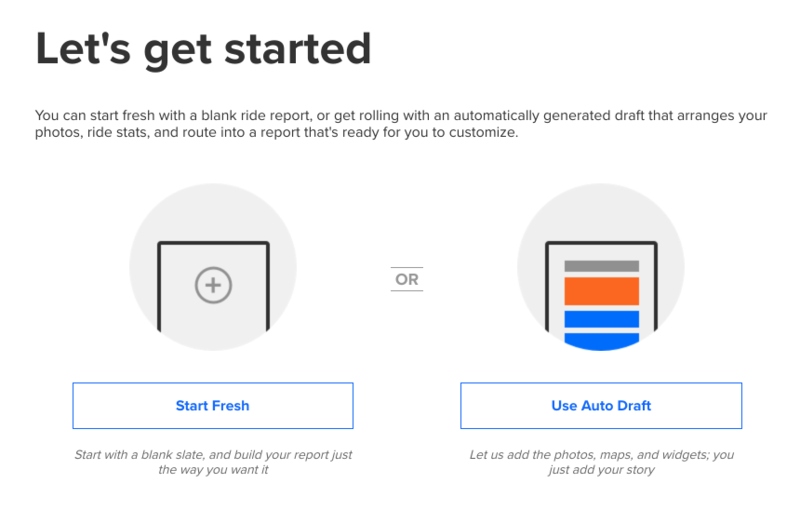 You can use our Auto Draft feature to automatically populate your report with photos, maps, and auto-detected climbs; all you have to do is fill in the story. Browse our Featured Reports, then go out and create your own! Premium and Basic subscribers can create unlimited Ride Reports while Starter/Free accounts are limited to 2 published reports. 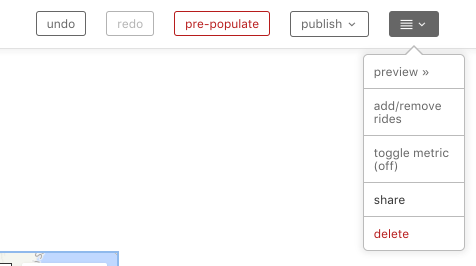 Click Reports on the Navigation menu. You’ll first be shown the Featured Reports. Your most recent 30 rides are shown by default, but you can also search for a specific ride name. Click on each ride you wish to have displayed in the Report. The order in which you select the Ride will determine the order in which they are placed when using Auto-Draft. 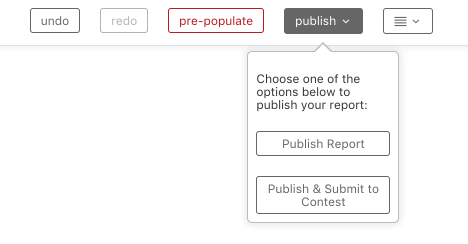 After you have selected the rides for the report, click Go. You’ll be presented with two options: Start Fresh and Auto Draft. 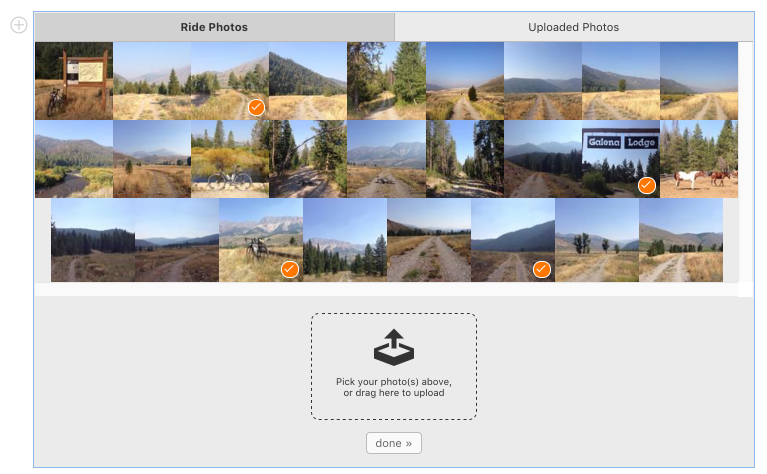 Auto-Draft – Automatically generates photo, map, and climb block content by pulling from your selected rides. Each section of content that is added is called a “Block”. Click the + to select from the four types of Blocks. You can select one to six images that were uploaded along with the ride or click Upload to add more photos from your computer. Displays a single photo at a time with thumbnails underneath. Click the display photo to see the next gallery photo. Change Photos – Prompts you to select photos from the list of photos associated with the ride and allows you to upload new photos. 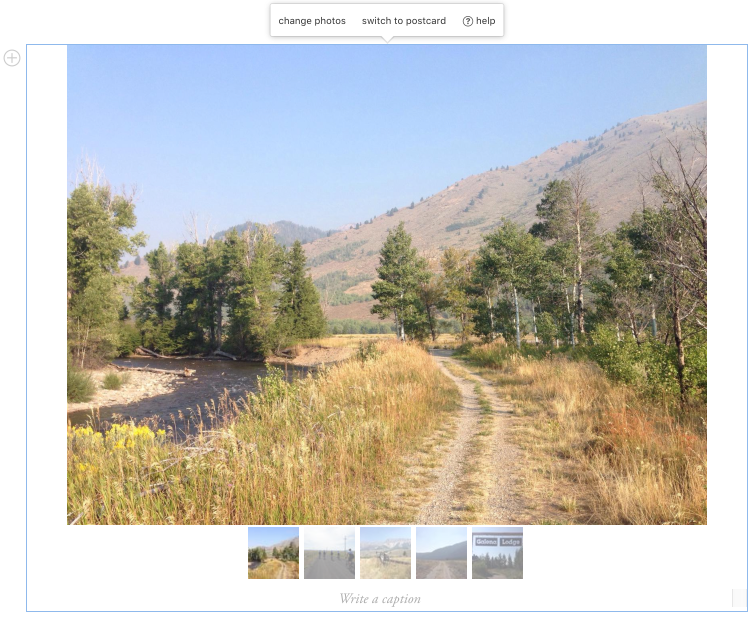 Switch to Gallery – Changes the postcard format to a Gallery format. If you have chosen multiple rides for your Report, you’ll be prompted to select which ride to use. After you have selected a ride to be displayed, you can further customize what is shown on the map. Additional options will appear above the map. Selecting Hide Elevation on the map block removes the elevation profile. You can always add it again later. The Ride metrics will be added to the bottom of the map. You can also customize which metrics are shown by clicking Customize Metrics while the Map Block is selected. Select Metrics. You can choose between three and five metrics to display. 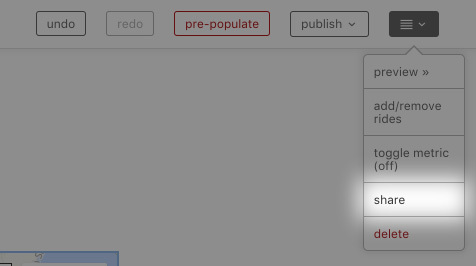 Click Save after you have made your selection, or click the X to cancel your changes to the metrics. When you select Climb Replay, you’ll be prompted to select which ride contains the climb. You will see the Map. 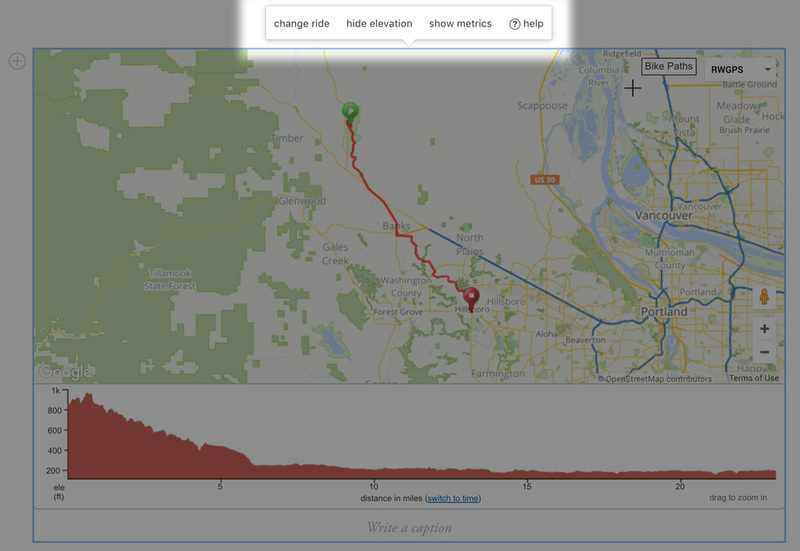 Click and Drag across the elevation profile to select the climb you want to display. Here’s an example of how the Climb Replay will look in the final Ride Report. A text block is where you can add text to tell the story of your ride. In addition to normal text, you can use headings, lists, links, and additional text formatting. Click and drag across some text to see the formatting options. When you are finished editing your report, Publish it for the world to see. For a limited time, you can also Publish and Submit to Contest for a chance to win some awesome prizes. Copy the URL from your browser’s address bar then share it via email or your favorite social network. More sharing options are coming soon. Allows you to see what the final Ride Report will look like in a new browser tab without publishing it to the public or your friends. 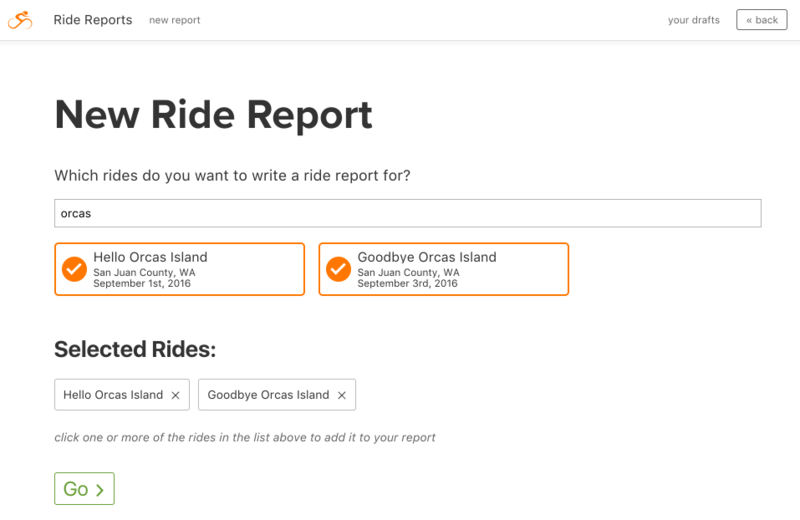 Even after you have started a Ride Report, you can add and remove rides. Click the menu in the upper right corner. You’ll be taken to the Select Rides screen where you can search and add rides. Click the ride name again if you wish to remove it from the report. If you remove the ride, the associated photos and map will be removed without affecting the original ride. Changes all the distances and elevations to metric kilometers and meters so no matter the viewer’s preferences they will see it in metric values. Delete the Ride Report, this can be done before or even after it has been published. USE WITH CAUTION, as this cannot be undone. Whether using a Ride Report, Embed, or simply viewing a ride, Privacy Zones are still applied and respected. Even if you have the Ride set to Public, your privacy zone is still applied, and the abridged version of the ride is displayed.